We are so happy to announce that the winner of our Victoria dentistry Sarah McLachlan concert tickets is Teresa McDonald! Teresa will be off to the concert, this Saturday, October 18 with a friend. She won our summer promotion contest where if you booked a new patient exam or refered a friend to us, you would be entered to win two tickets to the show. 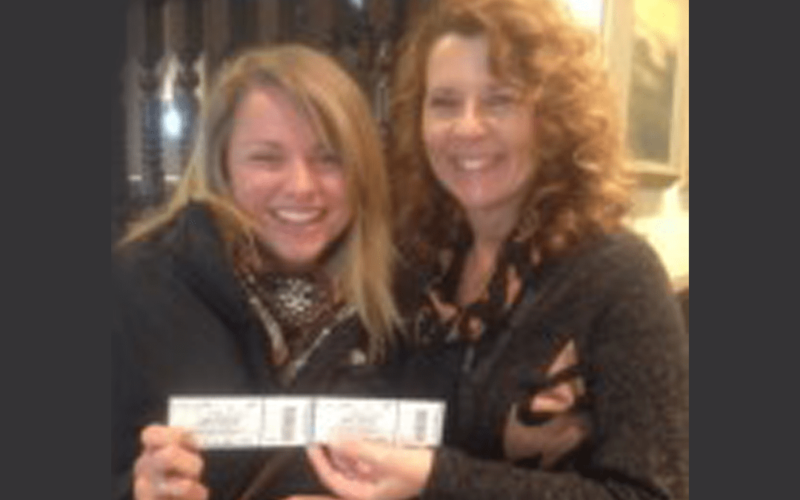 We’re so glad that Teresa won these Sarah McLachlan tickets and that she’ll be able to enjoy the show this weekend. Take a look at Academy Dental’s Shelley, handing them off to our lucky winner. Remember, if you’re looking for a great Victoria dentist, contact Academy Dental today. We may have a promotion going on and who knows what you might win! We can be reached by phone at any of our Victoria or Sooke locations, or contact us online.